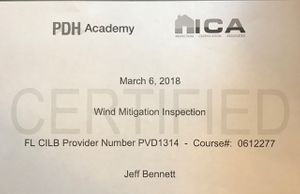 Looking for a Certified Wind Mitigation & Four Point Insurance Form Home Inspectors in Goose Creek, SC or surrounding area? You must bring your Wind Mitigation and 4 Point Insurance forms to the inspection or email them ahead of time. Ask about FEES. Wind Mitigation - Jeff has the certification needed to perform this inspection. A Wind Mitigation Inspection is a great tool to reduce your overall cost when it comes to your homeowners insurance. Submitted to your insurance provider, it may result in discounts to your policy to help save money. Most existing homes have one or more construction features that will qualify for windstorm insurance premium discounts. 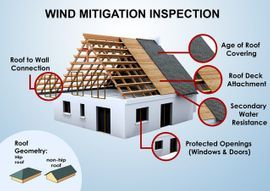 A wind mitigation inspection is a type of home inspection. The purpose of a wind mitigation inspection is to determine the appropriateness of a given structure's construction in the event of strong winds, such as those present in a hurricane. A homeowner with windstorm insurance can often submit the results of a windstorm inspection to their insurer to obtain discounts on their windstorm insurance. In Florida premium discounts for certain favorable wind mitigation features are mandated by State law and can sometimes show savings that up to 45% of the original policy's premium. This inspection will consist of the inspector looking for the following 8 key categories listed below. Roof Covering: inspectors want to know when the roof was installed and does if it meets building codes. Roof Deck Attachment: inspectors will determine what type of roof decking is used and how it’s attached to the underlying structure, for example, if it’s nailed or stapled down. If nails are used, nail length and spacing between each will also be noted. Roof to Wall Attachment: the roof attachments become the focus here: are trusses attached with nails or hurricane clips? Are the wraps single or double? The more secure your roof, the more significant the savings. Roof Geometry: is your roof hip, gable or other? The inspector is looking for how it’s shaped - a hip roof resembles that of a pyramid, and is a definite qualifier for a discount. Opening Protection: Here, inspectors are looking for shutters and installed-protection devices from wind-born debris for doors and windows. They will also be checking the rating of the devices, if you have them (as in- are they hurricane-rated?). 100% of all openings (All or nothing) need to be covered with Hurricane rated protection to qualify for this discount. A 4 Point Home inspection is performed for the insurance company on your behalf and assists the insurance company in the underwriting process. This is a point in time inspection. A 4 Point home Inspection includes general information about the HVAC, electrical inspection, plumbing inspection and roofing of a dwelling and is issued for insurance purposes only. 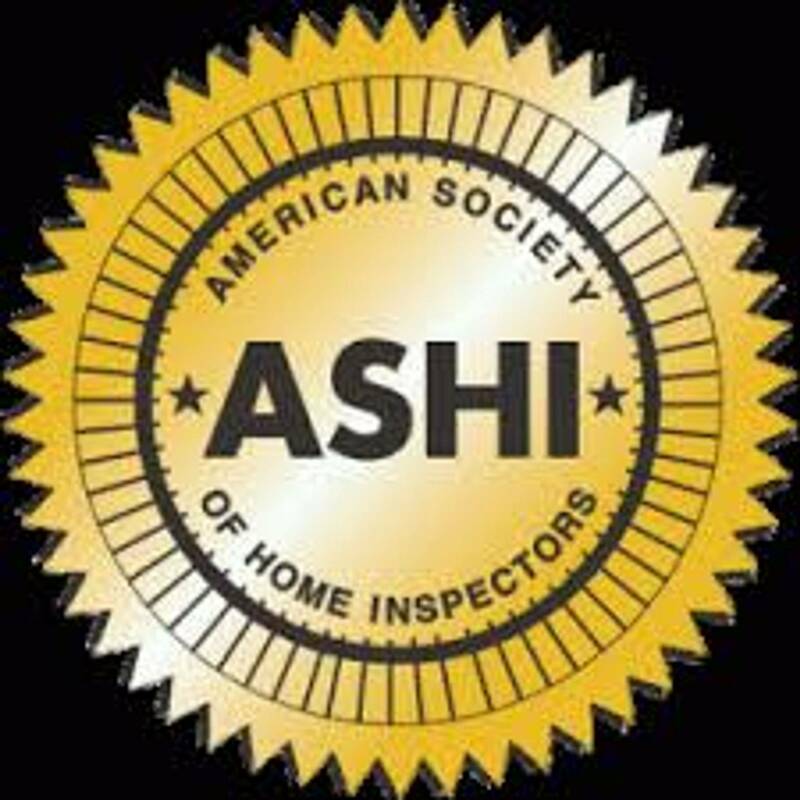 A 4 Point Home Inspection is far less in scope than a standard home inspection. It is not exhaustive and it will not contain the types of report items typical of a regular home inspection report. A 4 Point Home Inspection is a visual only survey of the HVAC, electrical, plumbing and roof covering and only specific information is gathered as requested by the insurance company. Client is responsible for ensuring that all utilities are turned on and that access to the property is available for inspection. 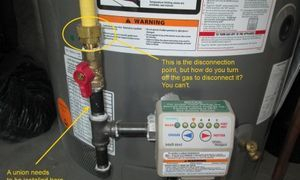 Inspectors are not required to light pilot lights or energize equipment that has been shut down for the winter. The purpose of the inspection is to determine the approximate age, general condition, and remaining lifespan of these systems. This is a limited visual inspection of components the insurance company may find unsafe or problematic. As of 09/01/12, a form is required by many insurance companies on every home 30 years or older in order to obtain a new insurance policy or renew an existing policy. Contact Full Service Home Inspections today. Visit our Contact page Email us today! If you are looking for a Home Inspector in Goose Creek, SC or surrounding area, contact us today the most affordable pricing and the most thorough inspections.